The National Science Foundation (NSF) recently announced the winners of the 2017 Graduate Research Fellowship Program (GRFP), with five current students, affiliates and alumni of Notre Dame's College of Arts and Letters winning the prestigious award and another four earning honorable mention. A total of 33 Notre Dame students were recognized by the NSF. 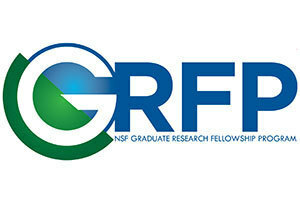 The NSF GRFP recognizes and supports outstanding graduate and graduating undergraduate students in science, technology, engineering and mathematics, and social science disciplines who are pursuing research-based degrees. GRFP provides three years of financial support within a five-year fellowship period ($34,000 annual stipend and $12,000 cost-of-education allowance to the graduate institution), as well as opportunities for international research and professional development. Students create a personal statement and research plan for the fellowship program in conjunction with their advisers and the fellowship advising team at the Office of Grants and Fellowships in the Graduate School and the Flatley Center for Undergraduate Scholarly Engagement (CUSE). The number of awards won by Notre Dame students corresponds to continuing efforts by the Graduate School’s Office of Grants and Fellowships and CUSE to provide one-on-one consultations and group support throughout the competitive application processes and help students pursue major national and international opportunities. The Graduate School’s summer grant writing program, fall workshop series and an intensive fellowship “boot camp” during the fall break were highly successful, and CUSE held information sessions and offered one-on-one application advising upon request. In addition, the Summer Research Opportunities Program hosted by the Graduate School offers research training, mentorship, and intensive preparation for graduate school to select summer students. Graduate students interested in applying for external awards should contact the Office of Grants and Fellowships. Interested undergraduate students should visit the NSF GRFP page on the Flatley Center for Undergraduate Scholarly Engagement website. Claire Scott-Bacon, Miami, Florida; psychology, incoming Ph.D. student.